Here at From the Rookery End, we try to be as balanced as possible, and as part of that we welcome opinion from all Watford fans. We were therefore absolutely delighted when Kelly Somers got in touch to say she’s like to share her thoughts with us and the rest of the world. 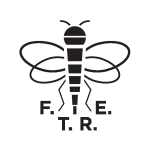 Below is Kelly’s first piece for FTRE – hopefully the first of many. We’ve no doubt you’ll enjoy it. As always, feedback is most welcome. If, like Kelly, you want to get involved then email us – podcast@fromtherookeryend.com – and we’ll see what we can do. So here is Kelly’s first FTRE blog post, reflecting after the Brighton home game. Hearing Coldplay belt out ‘Yellow’ at the Paralympic Closing Ceremony just a few weeks ago sent tingles down the spines of the majority of the nation. But what sent further tingles for me was seeing the Watford contingency of my Twitter feed sharing the lyrics (myself included) with a Hornets-esque tribute on the end. After all, in many of our minds, that song was surely written for us. So, how very apt that when walking into the stadium on Tuesday night, that the same infamous song was blasting through the stadium as the players warmed up. Once again, the tingles were in my spine – the Horns were back at the Vic after the international break and a couple of indifferent, for want of better words, away results. My excitement was soon subsided though as I made my way to my seat, as the feeling a little bit deeper within me soon resurrected itself – for my Mum behind me asked to stop and watch the players warm up to try and get a close up glimpse of ‘these new boys’, so she recognized them when the game began. And so there that feeling was again, that feeling of uncertainty, that linger of worry nestling amongst the quiet excitement currently around WD18. So as happy as I was to be back at the Vic – a place that has felt like home to me for some 12 plus years – there was a sense of worry and I am not ashamed to admit that. But, as I tweeted upon arriving home from Tuesday night’s defeat, upon reflection, I refuse to be downbeat. The first aspect that caught my eye was the passing, and the ball retention, – for the first time it started to look more convincing, and let us not forget we were playing against a side who themselves can pass it too – a side arguably who Mr Zola is modeling us upon. And when putting it in perspective compared to his good friend and opposition manager Gus Poyet, our manager has made these changes – changing a side often reknowned in previous years for it’s ‘hoofball’ style – in just two months, in comparison to the opposition manager’s two years. Yes, there were no goals, and these have, unavoidably, been hard to come by, and I am still struggling to decipher a 15 goal man, or even a ten goal man. But lets not forget a certain Troy Deeney will, like it or not, soon be back in contention having played this week in a behind closed doors friendly, and Vydra on his day is more than capable of killing a game. And there are still the possibility of Beleck making an impression, and Geijo when fit. And whilst I was unconvinced with the defence – particularly with Neuton at centre back – and I am unsure of Nosworthy’s longevity in this squad, they too are starting to gel and are, starting to come to terms with the inevitable difficulties we have had with set pieces. Chaboulah – though appearing to come on in midfield, is allegedly a defender, and looked comfortable and assured on the ball and though may also provide a welcome addition to solidify our previously leaky back four. And of course, how can I not mention our multi talented, goal scoring, loveable, stalwart defender Lloyd Doyley here – for he put in a remarkable second half shift against agonizingly impressive former Hornet Will Buckley– again showing yet another manager why he just cannot, for all his attacking shortcomings, be overlooked for selection. For me the stand out performer on Tuesday night though was Fernando Forestieri – who even managed to link up well with the eternal under-achiever Mark Yeates, and tick the boxes we have waited so long for him to fulfill. Forestieri was exciting, and quick, and took on, and beat, defenders with confidence and conviction – something Yeates has never particularly done, with his strengths lying in set pieces and crosses. He even managed to link up with the former, and whilst I feel that Murray and Forestieri would now provide our most exciting two wingers, perhaps Yeates can play with the Italian if necessary. So yes, it was still a defeat, and these defenders did not stop the goal, nor did any of our impressive play lead to any goals (perhaps here I should also thank the referee for his part in this – but this is not part of this particular argument), however perhaps for me the most heartening aspect of the defeat was the manner of which it occurred. We did not lay down and die as we did against Derby, and the hoards of fans who left early after the lacklustre home defeat to Ipswich were still in their seats upon the final whistle. For this time we showed character and spirit and whilst we have this, I believe we can progress. The players fought, and chased down every ball and they continued to do so, even when struggling to break down a resilient, and settled Brighton side. For me, seeing the reaction of the players when they missed chances, and particularly Zola’s when the referee dismissed our second and rather blatant penalty appeal (for those not watching he did an interesting fury sparked dance and threw his coat off in disgust for another member of staff to retrieve), I felt relieved. And the players, both home grown and not, remained on the pitch at the end, applauding the Hornets faithful – something of which was non existent compared to the previous ‘Italian revolution’ under he who must not be mentioned – Gianluca Vialli. These players, and staff, may or may not have had much choice when joining us, but they are here and they clearly want to impress. So, having gathered my thoughts and feeling surprisingly heartened at what I saw, midway through the second half on Tuesday, I bought a programme – something I don’t often do. I wanted to try and learn more about our new squad, as I decided that if I don’t attempt to buy into it, I may get left behind. And before I am accused, of being disillusioned or as a romanticist, I am by no means suggesting we are the finished product or anywhere remotely close. However what I do put to fellow Hornets fans is this – the signs are bright, and this is the situation at hand, whether ideal or not, so let’s get behind the boys, and be part of it, not against it, as if not we may just miss it, in the words of Coldplay, ‘turn into something beautiful’.